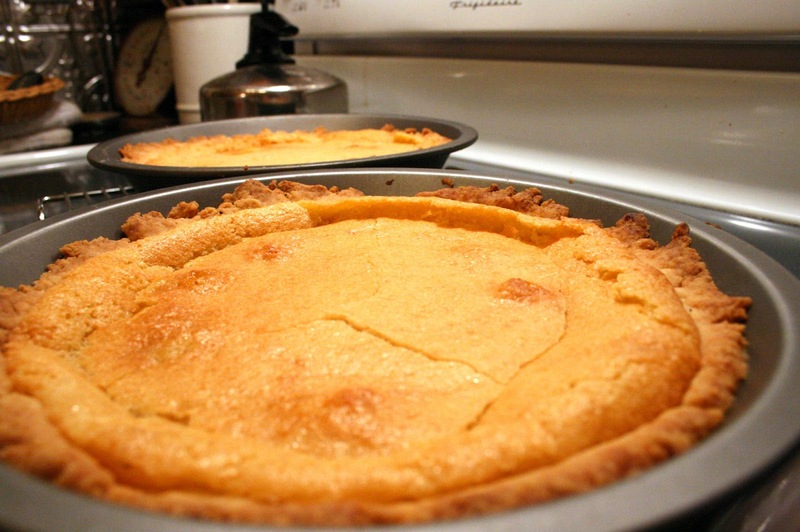 Chess pie is a dessert characteristic of Southern U.S. cuisine. 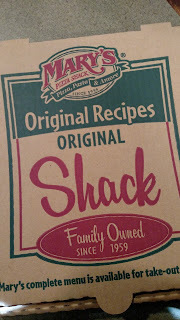 According to James Beard's American Cookery (1972) chess pie was brought from England originally, and was found in New England as well as Virginia. Recipes vary, but are generally similar in that they call for the preparation of a single crust and a filling composed of eggs, butter, granulated sugar, brown sugar and vanilla. What sets chess pie apart from many other custard pies is the addition of corn meal. Some recipes also call for corn syrup, which tends to create a more gelatinous consistency. The pie is then baked. The finished product is often consumed with coffee. Since this is, after all, a butter crust, it's imperative that you use good butter. Do not use anything else other than real, salted butter. Mix the butter and sugar together in a bowl with a spoon. Do not cream! Place the butter and sugar combination on a flat surface and add half a cup of the flour and lightly mix to combine the ingredients. Add the other half of the flour and knead just until a dough begins to form. Do not roll out the dough. Press the dough into a glass pie dish (you can use metal, but glass performs so much better and cooks more evenly) using your knuckles, so the dough doesn't stick as much. Place in the refrigerator until ready to pour in your pie filling and bake. Preheat the oven to 425º. Make sure your butter is at room temperature (if not, you can give it a quick melt in the microwave for 30 seconds). Mix together your butter, sugar and vanilla in a large bowl. You don't need a mixer for this; a wooden spoon or whisk will do perfectly. Beat the eggs in a separate bowl and then pour into the butter and sugar. Stir to combine, then add in the cornmeal, evaporated milk and vinegar. Stir until smooth (the cornmeal will lump up, so make sure it's well incorporated). Pour into your unbaked pie crust and then put it into the preheated oven. After ten minutes, reduce the oven temperature to 300º. Bake for an additional 40 minutes. The top will brown significantly, bubble and even crack; these are all good things. Remove and let cool. The pie will be a tan color on top where the cornmeal has risen and browned. This is what gives chess pie its delicious, slightly crunchy exterior, which gives way to a decadently sweet and creamy center. The pie can keep unrefrigerated for a day, but once it's cut into, it needs be be kept in the refrigerator. Eat your chess pie with a cup of black coffee or tea to cut the sweetness, and a table full of friends and good conversation. Mom didn't make it often, but she learned it from her mother, I think I've made one or two, simple but delicious. Bacon and Egg Deviled Eggs.